is a writer, health/life coach, and host of the Primal Blueprint Podcast. She is becoming the leading voice of thyroid health in the burgeoning Evolutionary Health Movement (also referred to as Paleo, Primal, or Ancestral Health). 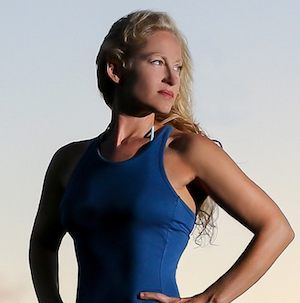 Elle has a B.A in Philosophy from The University of California at Santa Cruz and is a certified Primal Health Coach. She sits on the advisory board of The Primal Health Coach Program created by Mark Sisson, bestselling author of The Primal Blueprint. Exasperated and desperate, Elle took control of her own health and resolved two severe bouts of hypothyroidism on her own ? including an acute Reverse T3 problem. Through a devoted paleo/primal lifestyle, intensive personal experimentation, and a radically modified approach to thyroid hormone replacement therapy?Elle went from fat, foggy, and fatigued to fit, focused, and full of life! Hypothyroidism symptoms ? including physical, mental, and emotional. The importance of iron and ferritin. The emotional toll of hypothyroidism. Basal body temperature method for testing hypothyroidism.